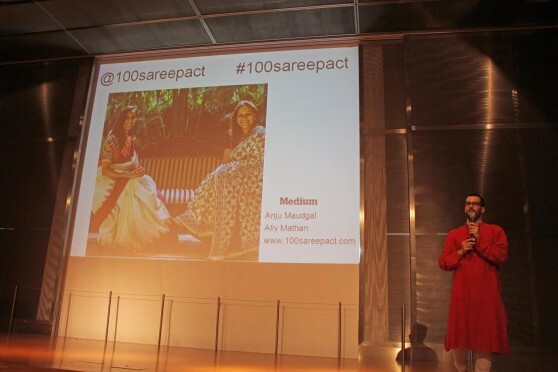 Early March, Ally and I were contacted by a friend, Lalithashree Ganesh, to ask if Profeesor Jorge Diego Sanchez could share the #100sareepact at a conference, in Madrid, where he would be speaking about the saree. 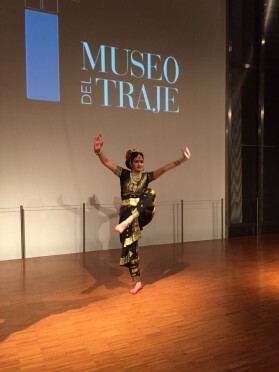 We share with you images of the academic conference on the history of the saree. The evolution of the saree from the Indus Valley Civilisation until now. The conference started with a reference to the inspiration found in the #100sareepact movement as synonymous of the importance of the many stories that are to be written and rewritten through the saree. Professor writes that there were many questions and the audience was amazed when the stories of the first three uploaded photographs were shared with them. A pact so powerful that it triggered a sharing of stories about people and their lives. 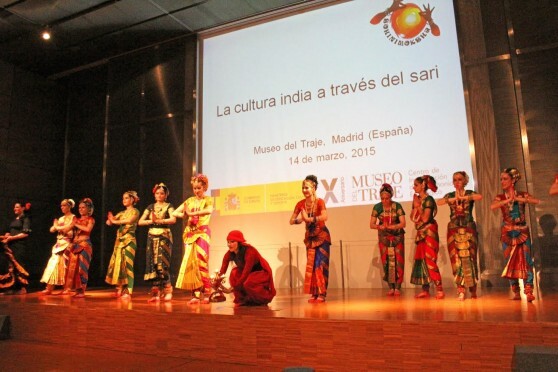 Indian History through the History of the Saree — La cultura India a través del sari, was an event organised by Sohinimoksha World Dance company celebrated on March 14th, 2015, in Madrid, in Spain, at Museo del Traje (National Museum of Clothes and fashion). On the occasion of Women’s Day on March 8th, the Sohinimoksha World Dance and Communications company organised a dance programme entitled “I Am”. The company presented a show to congratulate the strength and elegance of women in their fight towards equality and recognition. Professor Sanchez, we thank you for opening your academic conference with the #100sareepact and making our voices heard. 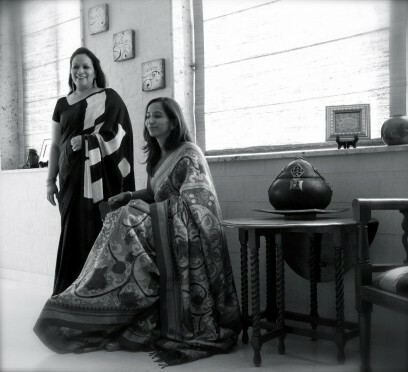 The #100sareepact is building narratives with the memories attached to each saree. Ally and I will wear sarees a hundred times this year and tell our stories. We are joined by our friends and their friends in Bangalore, Chennai, Coimbatore, Kolkata,Thiruvananthapuram, Mumbai, Delhi, Amdavad, Kashmir, Seoul, Melbourne, London, Michigan, Seattle, Netherlands and now, Madrid. And the pact grows everyday. Our thanks to Quico López for the photos.